I have just finished reading Moodle 1.9 Teaching Techniques by Susan Smith Nash with William Rice and published by Packt as one of their Moodle book series. I confess to having a sentimental attachment to this book as its original version was both the first book on Moodle I ever read (and I never thought I would end up writing one myself!) and the first book I reviewed in my first blog post on this blog. The book has been updated for Moodle 1.9 – you might wish to read my original review first. I had initially planned to deal with it as a brand new book and review it as such – but certain aspects prevented that, as I will outline later on. Susan Smith Nash is an expert in online course development -indeed, she is the e-learning queen - and what I liked about her update was the way she blended her ideas and suggestions both theoretical and practical with William Rice’s original “solutions”. This is not a book for beginners in Moodle, although it does give some step by step instructions. What it does that makes it different from many software books is that it gives a pedagogical background to what is done in Moodle: you aren’t just making forums or choices because they are there – you get explanations as to why and how they will help your students develop their skills or knowledge and examples of Best Practice. Moodle 1.9 Teaching Techniques follows a very methodical structure, starting the reader off with the fairly simple forum and leaving him empowered at the end having gained an understanding of the Lesson module and Workshop module, two of the most (I think) challenging modules to set up. On the way we investigate chat, quizzes, choice, wikis and glossaries , learning ways to use them where are students are “in charge” and we are the facilitators. (One slight point of issue by the way – I am not sure you can use the “single simple discussion” forum type with separate groups in the way suggested here as a method of students and teachers having their own private communication area; I don’t think this works?) Likewise, there seems to be an assumption that the reader has an admin role rather than a regular teacher role – the reader is shown how to override student permissions for example to prevent them starting new forum threads but this is not normally available to a teacher unless admin allows it – a possible source of confusion? Susan Smith Nash has added an extra chapter to the original, building on William’s solutions for the workshop module where she offers ideas for using it as a portfolio/gallery where students can showcase work, collaborate and comment on each others’ items all within a positive and encouraging environment. Susan has also elaborated more on the detailed instructions for setting up Lessons and workshops, which I think readers will appreciate as they are so complex. Indeed, the workshop in 1.9 is actually not recommended for use – although I use it! – as it has been totally revamped and simplifed ready for Moodle 2.0. Many people will still be using Moodle 1.9 for a long time yet and so this will be helpful to them. Different versions of Moodle (and indeed books) is something I will come back to now. I mentioned at the start I had planned to deal with this book entirely separately from its original version, published in 2007 but am unable to. Much of this book is the same as my first copy back then -which is fine as the activities and pedagogy still apply – but I was puzzled a few times by the screenshots which didn’t tie in with my own Moodle – until I realised that the gradebook used in this book is actually a Moodle 1.8 gradebook and not the current one. This is disappointing, as using the gradebook is such a vital part of Moodle and it has undergone a number of enhancements during Moodle 1.9 which simply aren’t reflected in the screenshots of this book. Readers not used to the gradebook might be confused by this. Overall then – and with the above mentioned caveats – this is a” teaching solutions” book, a book to spark off inspiration, rather than a how to Moodle book – and if you are competent with Moodle and lacking in ideas – perhaps this is a book for you! This entry was posted in Moodle on February 5, 2010 by Mary. 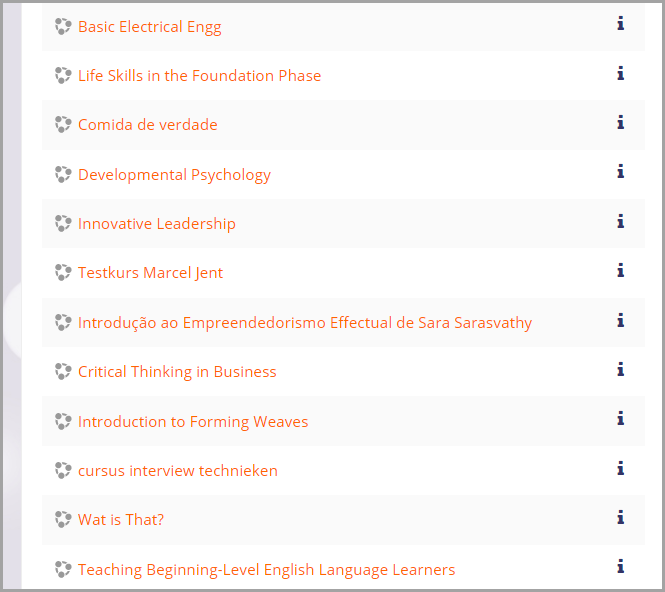 During the long months last year that I spent writing my book Moodle for Teaching 7-14 Year Olds, I was comforted by the thought that another Moodle colleague João Pedro Soares Fernandes was also toiling away on his publication – which I am glad to see has just now come out. It’s a great read -in fact, I spent all today reading it (instead of marking) and have learned a lot. You can read a sample chapter of the book (from the Packt website) by clicking here This chapter shows you how to integrate multimedia elements in quizzes, lessons and assignments and also how to create interactive exercise and games – just my sort of thing! It has to be said though, that Moodle 1.9 Multimediais about 75% Multimedia and 25% Moodle , but that is exactly how it should be: this book is aimed at those who already know the basics of uploading resources and creating activities in Moodle and who are now looking for more exciting ways to enhance their students’ learning. 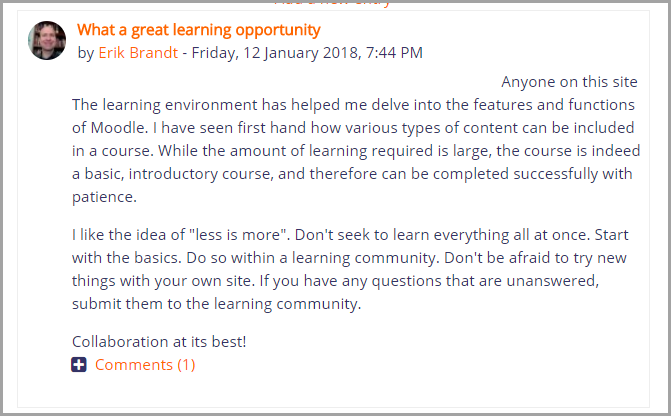 While Moodle can do a lot of wonderful things – don’t I know it – sometimes it is useful to look outside of its Walled Garden to the Wider Web and gather in the Best of the Rest. This is what João’s book does: it covers, thoroughly, practically and in an easy-to-grasp manner a wide variety of image, sound and video applications that can be embedded in Moodle or work alongside Moodle to the benefit of teacher and student. The full details are here but I particularly enjoyed the chapters on pictures (using GIMP) sound (with VLC and Audacity) and video (including instructions for Movie Maker and Photostory) Wherever possible he refers the reader to free or Open Source software and includes a huge range of “fun” Web 2.0 apps, many of which I know and love (Voki/Voicethread/Jing/Everything Google) and some new to me in the sphere of mind-mapping/ floor planning…oh and many more.. There are sections on assessment with HotPotatoes and J-Clic and videoconferencing with Google Chat and DimDim. Most useful of all I felt though, is the chapter dealing with Copyright, an extremely important issue in these times when we could (in theory) get any image, sound or movie we want off the internet without a second thought. João reminds us what we should and should not do in this respect. In conclusion: an enjoyable read! This book does not replace a Beginners’ Moodle manual such as Moodle For Teaching 7-14 Year Olds, or Ian Wild’s Moodle Course Conversion but is complementary, offering additional functionality with more engaging features for those teachers who are ready to raise their Moodling up to the next inspiring level -and take their students with them! This entry was posted in Moodle and tagged Moodle book, multimedia, Packt on May 28, 2009 by Mary. This was my first Moodle Moot – I had attended the 2007 one virtually and had been disappointed there wasn’t one in 2008. It began for me rather inauspiciously as I arrived late on campus Monday night, in the dark, couldn’t find my room, couldn’t swipe my card when I did find it, and then failed miserably to find anywhere to eat or anyone to talk to. The following morning, Loughborough University looked considerably friendlier in the sunshine; I tagged along with the beautifully named Jago to locate the breakfast block where I finally recognised some familiar faces – Drew Buddie and the larger than life, equally big-hearted Julian Ridden, who commented there seems to be a whole Moodle family on twitter now – he and myself, with @moodledan @moodlegirl @moodleguy, to name but three. Martin Dougiamas gave the Keynote speech to start the proceedings, highlighting the progress of Moodle since its inception, giving us a taster of Moodle 2.0 and describing the ten steps he sees in a teacher’s progress in using Moodle. After that we “broke out” into various sessions – mine on “Making Moodle Fun for Key Stage 3″ was one of the first, which meant I could then relax for the rest of the day. Thanks to Irene Krechowiecka for moral support and thanks also to Miles Berry and Russell Dyas (from the legendary Edugeek) who tweeted my talk which revolved around ways to engage younger children with Moodle and Open Web/Web 2.0 applications. I based it on the four C’s - Captivate/Create/Collaborate and – of course Chocolate and hope to make it available on the conference site eventually. We ended with some games including a Moodle-based sword fighting game from Andrew Field‘s Content Generator products. And I only mentioned my book once! The problem from then on was which session to attend when there were always at least two, sometimes three, I would have liked to watch. Ian Lynch of the Learning Machine/INGOTS presented on Teaching Children to Become Community Members and I then indulged myself by going to Julian Ridden’s Theming Workshop – a very clearly presented, step by step guide to making a Moodle theme. Over lunch I finally met in person both fellow teacher and moodler KristianStill, and also developer Dan Poltawski, the Force behind the CLEO Moodles. I talked language teaching with the original moodler himself Martin Dougiamas, talked books with two other Packt authors, Ian Wild and Alex Buchner from Synergy and was very flattered by nice compliments from John Mannion and Antonella Veccia. Thanks to Howard Miller of Glasgow University and E-Learn Design showing me the way to the food and drink, Tuesday night was considerably more successful than the previous evening! Wednesday morning was a delight with the charmingly enthusiastic Martin Langhoff explaining how Moodle links in with the One Laptop Per Child initiative. 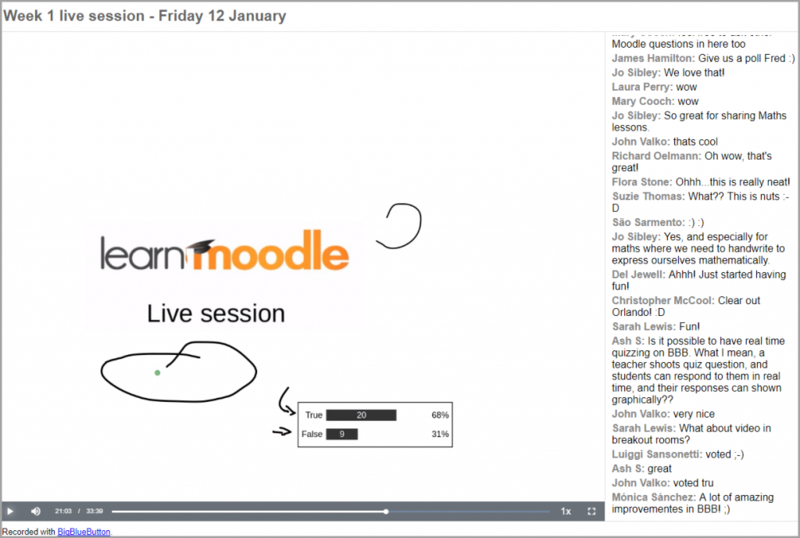 My next choice was a fascinating insight into Second Life and Moodle – via SLOODLE, presented by Daniel Livingstone - but- I’m still unsure…. Moodleman Julian Ridden gave a whistlestop tour of Moodle plugins, several of which I have tried and wholeheartedly recommend but a couple, dimdim and the podcasting module I have not, and am now inspired to test out on one of my Moodles or on Julian’s own free moodle playpen. I hadn’t know what to expect this being my first Moot - it exceeded my expectations in terms of ambiance, networking and inspirational ideas. The organisation of it all by Sean Keogh of Pteppic was flawless – and it is entirely understandable he would like finally to pass it on to someone else next year! If I had to make one comment it would be that there should be more for schools – high schools – primary schools – regular secondary schools. This is a sector increasingly using Moodle – all the more so as, in the UK, they turn away from their LEA/BSF imposed commercial VLE and go with Moodle. I was pleased to receive several compliments about the relevance of my presentation to “real” teachers – let’s hope than in #mmuk10 we at the so-called “chalk face” will be there in force! This entry was posted in Moodle and tagged #mmuk09, Making Moodle fun, Moodle, moodle moot UK 09 on April 9, 2009 by Mary.